From elementary school health classes, and through all of adolescence, people are bombarded with information on how to avoid pregnancy. We learn all the statistics and risks associated with unplanned parenthood, but how many of us actually know what it takes to conceive? Millions of women suffer from various stages of infertility issues, and an estimated five million births a year have been aided with modern reproductive technologies. 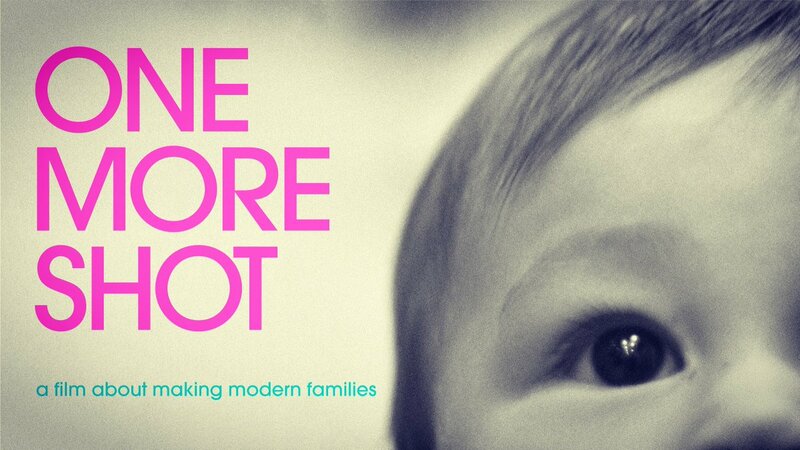 The documentary film One More Shot follows the journey of a young couple in Los Angeles as they go through the hope, loss, joy, fear, and pain of not being able to naturally have a child. As they meet other couples who have gone through similar experiences, they try to understand what starting a family means for them. It is a story of perseverance through emotional struggle, and an honest portrayal of a reality too often ignored or trivialized in media. Released on Netflix on January 15, One More Shot was produced by USC Cinema faculty member Gabriel Peters-Lazaro. Peters-Lazaro, who is also the director of photography on the film, was the natural choice to document such a personal journey: He has been best friends with the couple, Noah and Maya, since their undergraduate days at UC Berkley. Before everyone had a smartphone in their pocket to document their days, Peters-Lazaro recalls how he and his friends would take cameras around with them and make movies about their college lives. “Filming things to make sense of them was a part of our social and academic life. So, when they started going through this process, it felt natural for them to tell me to bring my camera,” he says. The movie spans a total of five years, from the first signs of fertility complications to the birth of a beautiful baby girl: There was no way of foreseeing what the journey would become when filming began, it was merely a form of catharsis for the couple. “The more the story grew, the more we felt like we needed to tell the story,” Peters-Lazaro says: There was never a moment when they felt like they were going to stop. What came from such determination is a raw, honest, and at times comical documentary on a subject many perceive as taboo. “This movie is about stories that are not being told and voices that are not being heard. There is so much shame and judgment in this process, that many women suffer in silence while they go through years of emotional and financial turmoil.” Consequently, the reality depicted in One More Shot has already touched many people, and with the release of the film on Netflix, the positive response continues to grow. One of the most inspiring parts of One More Shot was the natural way in which Maya and Noah met other couples who had gone through similar experiences: From in vitro fertilization, to adoption, to surrogates, to egg and sperm donations, there were many people who had forged their own path to starting a family and wanted to talk about it. Peters-Lazaro observed that for the couples interviewed, “There was something emancipating in telling that story. It takes power away from the sadness and difficulty, and allows you to focus on the foundation of the story, which is love.” After all of the trials and tribulations, it is absolutely beautiful to see smiling children running around while their parents talk about how badly they were wanted in this world. Furthermore, it is interesting to think that Maya and Noah have a work so honest and all-encompassing to one day show their child. On a personal level, One More Shot compels the audience to reflect on their own life challenges, regardless of the focal experiences. It is very inspiring to see that Maya and Noah never gave up, even when things seemed extremely bleak, and were able to find a new definition of what starting a family means to them. As Peters-Lazaro points out, “Through all the pain, sacrifice, dead ends, and doubts, somehow it does all work out!” This documentary makes the point that there are no right or wrong ways of starting a family, while showing that perseverance in the face of struggle is universal. Looking back, Maya and Noah would do it all over again. Their daughter, Mika, is now a happy and healthy two-year-old who doesn’t let her parents sleep. She was conceived through embryo donation; and if you don’t already know what that means, you’ll have to watch the movie to find out! One More Shot is streaming now on Netflix.